Strengthen your osseous structure in order to prevent a later need for nursing care - natur-apothekes Webseite! Consequences of osteoporosis: Osteoporosis patients do not break only faster the bones than healthy people, they also become faster need of care and have a lower life expectancy. 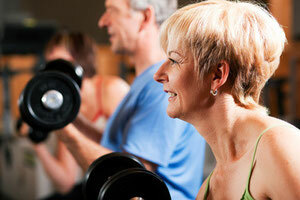 Many of the persons who suffer osteoporosis subsequently need care and thereby are socially isolated. A fracture of the femoral neck mostly means for the patients, that they need help in the household, must live in the nursing home or become bedridden. Product effect: Restoration of the microarquitecture of the osseous tissue and increase of the osseous density. 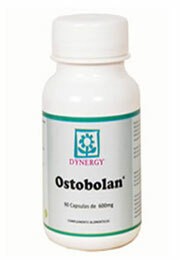 Ingredients of Ostobolan (information per capsule): Leaf of horsetail (250 mg), devil's claw (South Africa) (100 mg), calcium carbonate (125 mg), magnesium carbonate (36 mg), vitamin C (25 mg), vitamin E (3.33 mg) and vitamin D3 (0,833 mg). Recommendation: 2 x 3 capsules, after the meals with water. Bones: The bones of our skeleton consist of organic osseous cells and inorganic substances (lime salts). They are wrapped up by periosteum which contains many blood vessels and nerves. The inside of the bones contains marrow. In the red marrow of the long bones are formed the red blood cells. For the construction of the bones are important mineral substances (e.g., calcium and magnesium) and the vitamin D.
Regeneration of bones: Bones are altered constantly. Besides, different osseous cells are responsible for the construction and dismantling of the osseous matrix: The osteoclasts are movable cells, that originate from the bone marrow. These diminish the injured bone, while they take away minerals which dissolve the osseous matrix and form a deepening. However, osteoblasts are taken up in layers in the osseous deepening. Then they begin to produce calcium-containing salts, the basic osseous substance. A hard and firm bone can originate. Osteoporosis: Osteoporosis is a general disease of the skeleton which is characterised by the decrease of the osseous density and the destruction of the microarchitecture of the osseous tissue. The external osseous dimensions remain unchanged, the internal osseous structure becomes fragile. The reduction of the osseous mass causes in itself no symptoms, above all first no pains. A bone fracture is often the first sign for the existance of an osteoporosis. 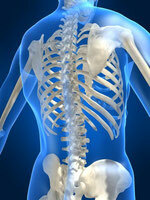 In many cases radius, ribs, upper arm, pelvic and femoral neck are concerned. Besides, forearm fractures concern above all women from the 55th year. Osteoporosis problems in the back area appear in the form of breaks of the vertebral body, piled up from the 60th year and concern women, besides, about three times more often than men.